Zanhotel Regina is located between Bologna Central Station and Piazza Maggiore, close to La Montagnola Park. All of Bologna's attractions are within walking distance. The hotel is run by one of the most respected hotelier`s family in Bologna. Their is family feeling inside the hotel,and it helps you to feel at home. My room`s window looked at the square, and it was very quiet during night time. I slept very well. According to my wish, I received some extra pillows and felt gorgeous. Thank you so much! Located in the historical centre of Bologna, The Art Hotel Commercianti offers free breakfast, free WiFi throughout. It is next to the San Petronio Basilica and the Fountain of Neptune. Amazing location, great value for the money, and the staff was so kind and helpful! Each room is unique and perfectly appointed. The breakfast had a wide variety and wonderful coffee. We will definitely return! 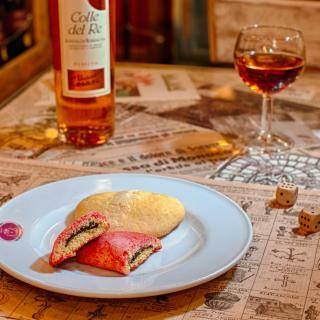 Dating back to 1375, Al Cappello Rosso is one of Bologna’s oldest boutique hotels. We stayed in two comfortable apartments in the next building from the hotel itself and just around the corner from Neptune fountain and Piazza Del Duomo. Location was perfect and our stay was wonderful. Located within an 18th-century palace, Grand Hotel Majestic gia' Baglioni offers elegant surroundings and antique furnishings in the centre of Bologna. Internet access is free. The staff is so professional and welcoming. The room was amazingly decorated with antiques and painted roof! All was perfect. We highly appreciated that we were offered a free late check out when we asked for. Very intelligent from their part as we therefore had lunch at their amazing restaurant. The 4-star superior Starhotels Excelsior is opposite Bologna Train Station and the airport bus terminal. It offers free WiFi throughout, modern interiors, a gourmet restaurant and a free gym. The personnel are absolutely fantastic. Bologna's Suite Elite is a design 4-star hotel located a 15-minute walk from Piazza Maggiore and 8 minutes' drive from Guglielmo Marconi Airport. Rooms come with free Wi-Fi. Hotel is very close to the center of Bologna. Room is very cozy. Breakfast is nice. I Portici Hotel has a great location in the heart of the historic centre of Bologna, just a 5-minute walk from Central Station. All air-conditioned rooms have free wired internet access. Great hotel and great location, staff were excellent as was the service and the breakfast! Situated very close to the university zone, the Accademia is only 500 metres from Piazza Maggiore, the main square of Bologna. Free Wi-Fi is available throughout. Everything, specially the staff :) They were very kind. Featuring a spa, a free fitness centre, and modern rooms, Ramada Encore is 5 minutes' drive from BolognaFiere exhibition centre. WiFi is free throughout. Really clean and nice hotel. Very good breakfast! Located just 5 minutes’ drive from Bologna Airport, Hotel Amadeus offers large rooms with free Wi-Fi, air conditioning, and an LCD satellite TV. Parking is free. The reception service is professional and gave us a very warm welcome. Located in the historical centre of Bologna, Hotel Cavour offers a small furnished terrace with views of the towers, and an inner courtyard. All rooms have free WiFi. Excellent value for money. Staff friendly and helpful. Hotel clean, well situated, has character. Hotel Liberty 1904 is in the San Vitale area of Bologna, 1 km from the historic centre and a few steps from Sant'Orsola Hospital. The air-conditioned rooms have a flat-screen TV. Every thing was great. The room is clean and new, the breakfast and coffee delicious. Best Western Plus Tower Hotel Bologna features contemporary-style rooms with free WiFi and a free indoor garage. It is a 5-minute drive from the A14 motorway and 4 km from Bologna city centre. Good buffet breakfast! Good front desk service... special mention and thanks to Ma. Angela. Housed in a restored antique monastery built in the 16th century, Hotel Pedrini is located along Bologna's Strada Maggiore, 1.2 km from Piazza Maggiore. Very friendly staff, clean room and bathroom, great location. The Atlantic is a minimalist hotel just a 10-minute walk from both Bologna Centrale Train Station and Piazza Maggiore, the main square. All rooms offer free internet and air conditioning. Connecting , smile , breakfast , coffe , cleaning, bicycle parking , center ..
Bologna's Nuovo Hotel Del Porto offers modern, air-conditioned rooms with free WiFi. The location is perfect it was very close to train station and airport buses. Overlooking the picturesque Aposa Canal, Il Canale Hotel is set in the heart of Bologna’s historic centre in a building that has been completely refurbished. The staff was very friendly and helpful. Excellent breakfast. Spacious room. 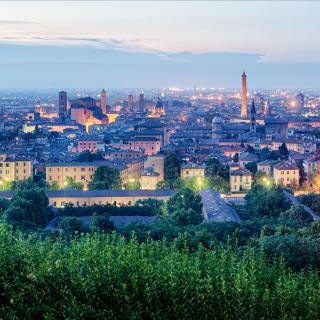 Hotel Aemilia is 15 minutes on foot from Bologna's city centre and famous towers. It offers modern rooms with free Wi-Fi, air conditioning, and high-definition LCD TV with international channels. Very good located, close to city center, railway station. Delicious breakfast, wide choice. Art Hotel Novecento offers elegant rooms with free Wi-Fi, a generous breakfast, and a great location in Bologna's city centre. The Towers of Bologna are a 5-minute walk away. Staff were very friendly and informative. 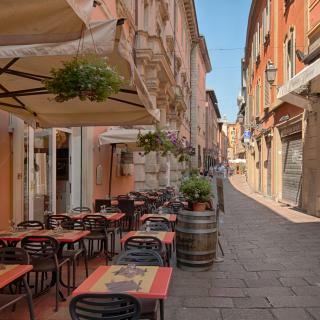 Albergo Garisenda is set in the heart of the city, directly opposite the Towers of Bologna. It offers functional rooms with TV, free WiFi, and wood or tiled floors. Staff were very friendly, attentive and helpful. Hotel Paradise offers guest rooms and apartments. It is next to the airport bus stop and less than 10 minutes on foot from Bologna Central Station. Hi, Very clean room, nice breakfast, very helpful, nice and professional staff and great location. 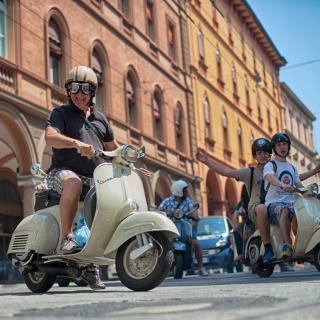 Hotel Metropolitan is set just 5 minutes' walk from Bologna's main square and 50 metres from Via Indipendenza, which is the main shopping street in the centre. the staff were very attentive. Porta San Mamolo has its own garden where you can enjoy an excellent free breakfast. 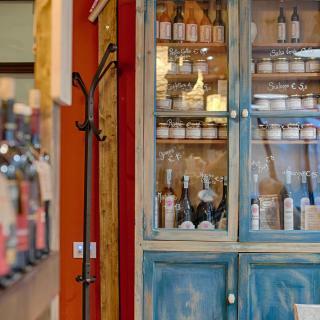 It is in a quiet location 10 minutes' walk from Bologna's main square. Rooms are modern at Porta San Mamolo. Clean comfortable hotel with excellent staff and great breakfast. What are the best hotels to stay in Bologna? Savoia Hotel Regency, Art Hotel Commercianti and Zanhotel Regina are some of the popular hotels in Bologna. Many families visiting Bologna loved staying at Le camere di Porta San Felice, Hotel Corona d'Oro and Grand Hotel Majestic gia' Baglioni. On average, 3-star hotels in Bologna cost € 74.60 per night, and 4-star hotels in Bologna are € 96.16 per night. If you're looking for something really special, a 5-star hotel in Bologna can on average be found for € 420.38 per night (based on Booking.com prices). The average price per night for a 3-star hotel in Bologna this weekend is € 201.56 or, for a 4-star hotel, € 310.16. Looking for something even fancier? 5-star hotels in Bologna for this weekend cost on average around € 578 per night (based on Booking.com prices). What is the best neighbourhood to stay in Bologna? 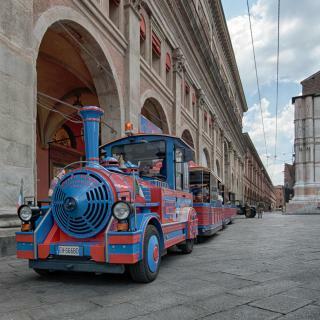 Bologna Fiere District, Bologna City Centre and Bologna Train Station are popular with other travellers visiting Bologna. What hotels in Bologna are good for couples? These hotels in Bologna are highly rated by couples: Grand Hotel Majestic gia' Baglioni, Le camere di Porta San Felice and Art Hotel Orologio. What are the best hotels in Bologna near Bologna Guglielmo Marconi Airport? Travellers who stayed in Bologna near Bologna Guglielmo Marconi Airport (BLQ) have said good things about FlyOn Hotel & Conference Center, Hotel EMI and Hotel Brianza. On average, it costs € 109.33 per night to book a 3-star hotel in Bologna for tonight. You'll pay on average around € 200.53 if you choose to stay in a 4-star hotel tonight, while a 5-star hotel in Bologna will cost around € 340 (based on Booking.com prices). What hotels in Bologna have nice views? Art Hotel Orologio, Savoia Hotel Regency and Aemilia Hotel Bologna have received great reviews from travellers in Bologna regarding the views from their hotel rooms. What hotels in Bologna offer an especially good breakfast? For hotels in Bologna that serve up a highly-rated breakfast, try Grand Hotel Majestic gia' Baglioni, Art Hotel Commercianti and Savhotel. World-class cuisine is what Bologna does best. 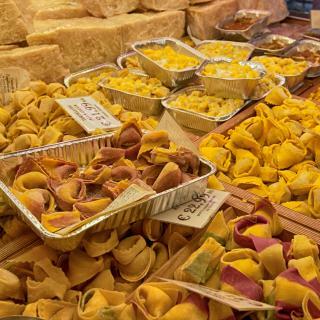 Nowhere in Italy, a country with considerable culinary heritage, is the food considered better than in this medieval gem. 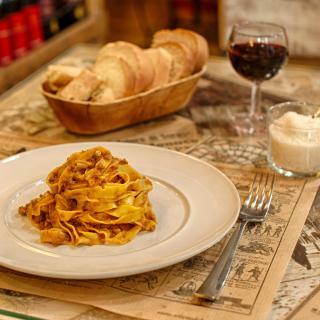 Bolognese sauce of course originated here, but to try the real thing look out for ragú on the menu. Cold meats and cheeses are also exquisite. Make sure you save plenty of time for eating – the Bolognese like to savour their food, so a meal can last for hours. Many of the best eateries and homemade ice cream shops can be found behind the mile upon mile of porticoed streets, now UNESCO World Heritage listed. The complex of medieval churches and buildings in cobbled Piazza Santo Stefano is a tranquil spot to explore. Climb one of the Two Towers nearby (not the one leaning at a startling angle) for spectacular views over this red-roofed city. The focal point of Bologna is huge Piazza Maggiore, whose Santo Petronio church has an unimpressive, half-finished façade that doesn’t prepare you for its sheer scale inside. Fanning out from this square are the buildings of Europe’s oldest university, founded in 1088 and home to the city’s best museums. Bologna accommodation on Booking.com ranges from small B&Bs to luxury hotels, all easily accessible from Bologna Airport just outside the city. We loved the Moorish style architecture of the buildings and covered porticos along the main shopping strip. Enjoyed two superb meals at Ristorante I'Arcimboldo not far from Via dell'Indipendenza. Highly recommended. Stayed at I'Portici Hotel. Lovely hotel, excellent location, close to attractions and in the midst of the shopping area on Via dell'Indipendenza. Great place, especially the medieval old town. 2 night stay , took the train from Milan , Choose Mecure Bologna for its location older style hotel but we really liked it and would stay again only issue is the a/c isnt great so in summer sleeping would not be easy, but this is subjective. Bologna is an interesting place I have not been anywhere with such an extensive network of covered streets in different styles great to keep the sun or rain off . Many eating houses price is subjective but we stick to a budget and didnt go hungry. Maybe not the most touristic city but good enough for 2 days lots of one off shops and bigger stores many winding back streets to explore and find oddities . Just up the street from the Mecure is a pizza shop which serves a good selection of fresh pizzas etc and steps away a great gelato spot with generous servings at decent prices , but all price ranges can be found depends on your choice. Negatives well as with to many cities there seems no shortage of begging on the streets and sadly large numbers of young men from overseas who spot tourists and will hassle them . The hotel smelt a little like smoke and we assume the room may have been a smokers room previously. The location near the train station was convenient but also a little dirty with some dodgy people around there also. Santo Stefano and the area around as well as the university area is very nice! There is an overall good athmosphere in the city, very lively, also due to the many students. A verry good hotel is "I Portici" with a great restaurant on top. Ask for the superior room with large terras and view on the park. A hotel to avoid is hotel "Il convento dei fiori di seta", looks somehow charming on Booking but... We always eat verry good in "Tratoria dal Biassanot" and they are super friendly on top.